Air medical transport services only require that you be hospitalized as an inpatient and need hospitalization upon reaching your destination (medevac). You can have the extra benefits of the Medjet Evacuation plan or buy one of our overseas trip insurance plans that cover international medical insurance. This plan is “evacuation-only” (medical transportation including air and land transport), not medical or travel insurance. 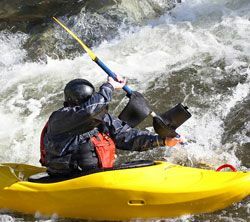 (All of our adventure sports travel insurance plans include emergency evacuation as a benefit.) Please make sure your sport is covered in a medical emergency and that you have adequate medical insurance before purchasing a stand-alone medical transportation-only plan. Can choose to be transferred to a hospital in your own home country, even if the facility you are in is considered adequate. As long as the medical doctors with you state you are stable to be medically transported then the choice is yours. It is that simple. Available for U.S and Canadian residents. For additional countries please contact us. Will transport back to the hospital of your choice in the country you enrolled from. This plan doe not allow pre-planned “medical travel” – Travel for the intended purpose of being treated medically/surgery in another location. It is for emergency medical transport. There is no dollar limit on the cost of your medical transportation from your current location to your hospital of choice. A typical air ambulance between Europe and the U.S. can run more than 70,000USD. Good Neighbor Insurance is proud to offer Medjet Emergency Evacuation Adventure Sports (Medical transportation) and Emergency Evacuation for Short-term travel services to our clients for one low membership price. Annual travel and adventure sports memberships here. If you are hospitalized more than 150 miles from home, MedjetAssist will facilitate getting you back to your home country hospital of choice from virtually anywhere in the world. Medjet asks no health questions (under age 75), has no emergency evacuation adventure sports travel exclusions, co-pays or cost limitations. There are no claim forms, no deductibles, no out-of-pocket expenses. The whole process is handled as your benefit of membership. There are never any additional charges whatsoever after your membership fee is paid. If eligible as a dependent, family members added during the term of a family membership will be covered at no charge upon notification to MedjetAssist prior to initial departure from the Residence Address as defined in the rules and regulations. To qualify as a dependent child, the child must reside with the Primary Member or be a full-time student in actual attendance at an accredited school or college, and be chiefly dependent upon the Primary Member for support.